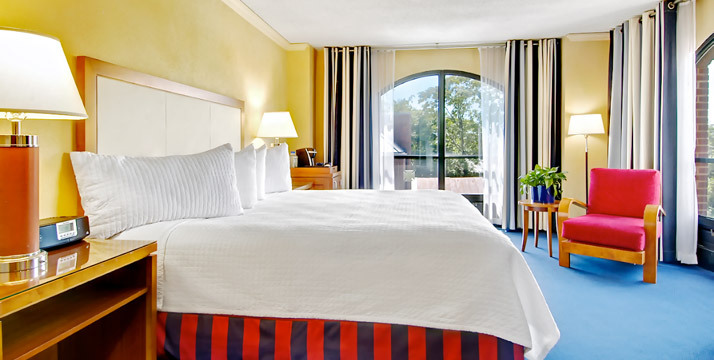 There are a wide variety of fine, comfortable hotels in Annapolis, geared to fit any budget, business or leisure visitor. Some are within walking distance of historic landmarks, such as the waterfront district and the United States Naval Academy, and others are convenient for a business traveler. An Annapolis hotel that gets high marks with both budget and business travelers is the Hilton Garden Inn Annapolis, 305 Harry S. Truman Parkway. It is a short drive from downtown and is a well-equipped hotel for business travelers, as well as being lower in price than other comparable Annapolis hotels. Another hotel considered to be an excellent value for all its amenities is Spring Hill Suites by Marriott Annapolis, located at 189 Cochrane Drive. It is close to the Ballet Theater of Maryland and the historic downtown.You don’t want to miss either the Best Western Annapolis because this hotel offers travelers convenient access to many local attractions, shopping and dining options in and around Annapolis, and one way they support it is by offering 24-hour complimentary coffee service; or the Holiday Inn Express Hotel and Suites – you can read why we thing they’re tops in terms of Annapolis hotels right here. The Bed and Breakfast Association lists a large number of independent homes and small inns that feature unique accommodations, personal service, and complete breakfasts. A B&B in Annapolis is ideal for travelers that enjoy personal service and historic lodgings in an intimate setting. One highly rated and quaint B&B is the Chez Amis Bed and Breakfast on 85 East Street is a short walk to City Dock. Other popular B& B’s are the Harbor View Inn, at 1 St. Mary’s Street, the William Page Inn, at 8 Martin Street, and the Georgian House, at 170 Duke of Gloucester Street. For those wanting to be right near the marina, the Eastport location of The Inn at Horn Point, 100 Chesapeake Ave, is an ideal spot. We really have to recommend the Annapolitan B&B because each room is decorated differently with Annapolis-inspired décor. The flexibility is also great because they can accommodate cocktail or tailgate parties, reunions or business meetings in private event spaces. It’s a single downtown hotel with a lobby check-in location at 58 State Circle, but with lodgings in a group of three historic boutique hotels. The Governor Calvert House is the oldest and most luxurious home, built in 1695, and located across from the Capitol building. The Robert Johnson House is next to the Governor’s Mansion and was completed in 1773. The Maryland Inn is also the location of the well-known Treaty of Paris restaurant. The Loews Annapolis Hotel enjoys a central location on 126 West Street with easy access to restaurants and the nightlife downtown. It is a full-service hotel with a spa and pet friendly policy. The Westin Annapolis Hotel is another full-service hotel with a large grand ballroom. 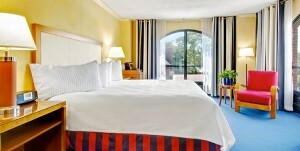 It is the top ranked hotel for business travelers in Annapolis. The Annapolis Waterfront Hotel is a fine departure point for city walking tours. The Schooner Windward, at 80 Compromise Street, needs its own category because it is the only boat and breakfast in Annapolis. It features a delightful evening cruise where the captain allows passengers to take turns at the helm. The bed and bath may feel like cramped quarters for some guests, but the experience is unique and comes with a complete breakfast. 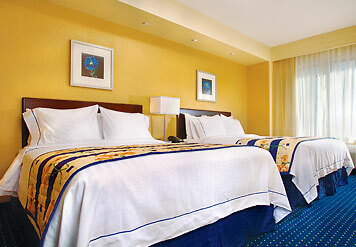 The wide variety of Annapolis hotels make it a wonderful city for both leisure and business travel. From historic sights to sailing and shopping Annapolis is a charming city designed to accommodate any type of visitor in comfortable and enjoyable style.